I'm a student from Peking University. I started using coreboot since 2015 spring semester. 3.2 Should I learn Linux before trying coreboot? 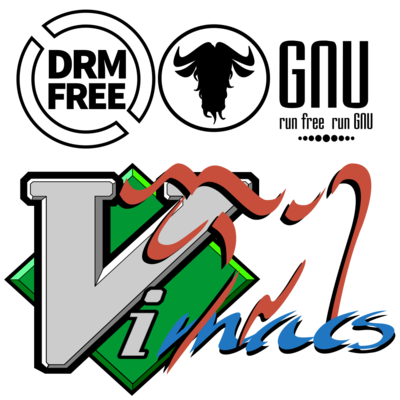 I use vimacs as my nick name on some forums with a Vi-macs logo. Yeah, I use both Vim and GNU Emacs! Lesson1 is a good place to start. First, you need a cross toolchain. Just make crossgcc-x64. Then configure coreboot: make nconfig, and build it. You can first try coreboot on qemu, then on real machines. I recommend Lenovo ThinkPad X series (X201,X220 is good), because it's easy to flash externally. Should I learn Linux before trying coreboot? Yes. Many operating systems can run on coreboot, but Linux runs best on it. More importantly, you need to get familiar with the build system, toolchains, utilities, and it's hard to learn these without learning Linux. Someone asked me this question. I think that coreboot is so flexible that building from source is the best way to use coreboot. Libreboot supplies pre-built binary packages, because it's a stable version of coreboot, and it's blob-free feature makes microcode and option ROMs impossible. There are just a few things to configure, and libreboot community use in their binary packages the configs they think good for users and developers. This page was last modified on 21 April 2018, at 04:06.